Baby corn is basically corn that is harvested earlier. At this point of time, the ears are very small and not fully formed. This miniature size and look causes it to be named as “candle corn” in some of the Thai cookbooks. 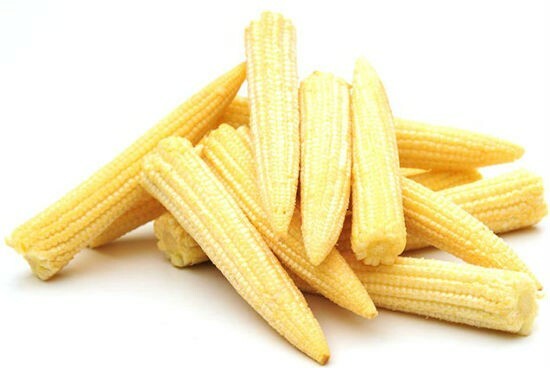 Baby corn is an exceedingly popular in Asian cuisine and can be found in stir-fried dishes with other vegetables. Baby corn can be produced either by seeding with a variety that can produce only baby corn or by harvesting it early. Baby corn does sometimes lack some of the health benefits of mature corn however. A small ear of regular corn, about 3 ounces, has about 22 grams of carbohydrates. 1 cup, or 5.8 ounces, of corn kernels have 30.5 grams of carbohydrates. By comparison, a similar sized serving of baby corn would contain only 8 grams of carbohydrates. This is because in the immature baby corn the sugars have not yet developed. Baby corn is a good low-carbohydrate food for people on diets that cut carbohydrates. Corn is sometimes called maize, which comes from an Indian word meaning “that which sustains us.” Twenty-one percent of the world’s nutrition comes from corn. Baby corn is an excellent source of B vitamins. Baby corn provides folic acid, thiamin, riboflavin, and niacin. B vitamins contribute to digestion. Folates are also used in the amino acid synthesizing process. Breaking down and synthesizing amino acids is vital to building new cells, such as red blood cells. Folates have also shown to be linked to significantly reduce risk of developing Alzheimer’s. Folates in general are associated with brain function, have been associated with improved memory, and slowed cognitive decline. Baby corn is a lower glycemic index food than regular corn. This means it will contribute fewer carbohydrates to your diet overall. However, because it is plucked earlier this means baby corn contains much less Carotenoids than regular corn. A Washington State University study showed that the yellower corn is the more Carotenoids it contains; baby corn is plucked while it is much whiter. Carotenoids can reduce the risk of heart disease and cancer. Whenever possible you should opt for fresh baby corn. Fresher foods are healthier in general, but packaged foods also may contain additives. Canned baby corn in particular may contain high levels of added sodium. Excessive sodium in the diet causes high blood pressure and is associated with heart disease. To minimize the amount of sodium in canned baby corn rinse it in running water. Baby corn is a great nutrition-packed addition to any weight loss diet. Many low-carb diets allow for meats and high-fat foods but are negligent in grains. Baby corn is a low glycemic index containing few carbohydrates and so is acceptable for any low-carb diet. Add some fiber, folates, and other nutrients found in grains by cooking up a side of baby corn. Corn is one of the few cereals that we all can get very creative with. 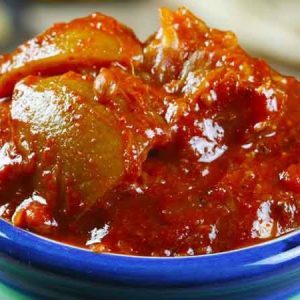 Also popularly known as maize, it can be cooked in a variety of ways. Sweet corn can be eaten right out of the “maize ears” or the corn kernels can be used in a gravy or garnish the fried rice, or can even be combined with onion and chilies to make an amazing evening snack. The best thing about this grain is not just about the taste. It is also about the innumerable health benefits of sweet corn. A power house of minerals – Those little yellow kernels contain more minerals than you can ever think of! Corn contains a large proportion of magnesium, iron, copper and most importantly phosphorus, which is needed for healthy bones. These nutrients not only prevents your bones from cracking as you grow older but also enhances the normal kidney functioning. Improves digestion – Corn is filled with fiber that is a huge boon for digestion. It prevents constipation, hemorrhoids and even lowers the risk of colon cancer considerably. Skin Care – Corn is rich in antioxidants, which help in keeping the skin younger for longer. Apart from the regular consumption of corn, it can also be applied as Corn Oil which is a rich source of Linoleic acid. Corn starch is also useful to soothe skin irritations and rashes. Controls cholesterol – Cholesterol is a substance that is produced by the liver. There are two types of cholesterol; good cholesterol (HDL) and bad cholesterol (LDL). An increase in the bad cholesterol due to the intake of fatty foods weakens your heart and can also lead to cardiovascular diseases. The vitamin C, carotenoids and bioflavonoids contained in sweet corn keep your heart healthy by controlling cholesterol levels and increasing the flow of blood in the body. Prevents anemia – Anemia is a condition where the red blood cell count is reduced considerably due to the lack of iron. Thus, sweet corn benefits health as it is rich in vitamin B and folic acid that prevents anemia. Essential during pregnancy – Pregnant women should make it a point to include some corn in their diet. Consumption of corn provides a rich source of folic acid. Make sure you clean it thoroughly and also consult your doctor in case you have high blood pressure, or have swollen hands and feet. The deficiency of folic acid in pregnant women affects the baby. Lack of folic acid in the body affects the weight of the baby. Sweet corn Benefits the health of both the expecting mother and baby. It prevents the new born from being underweight and saves from other defects. So go ahead, use this cereal lavishly in your meals. It is rich in a variety of vitamins, minerals and more importantly fiber that takes care of your body by lowering the risk of various diseases and supplying your body with nutrients required for a healthy living! Feel free to comment or share your thoughts on this "Health Benefits of Baby Corn" article from Awesome Cuisine.